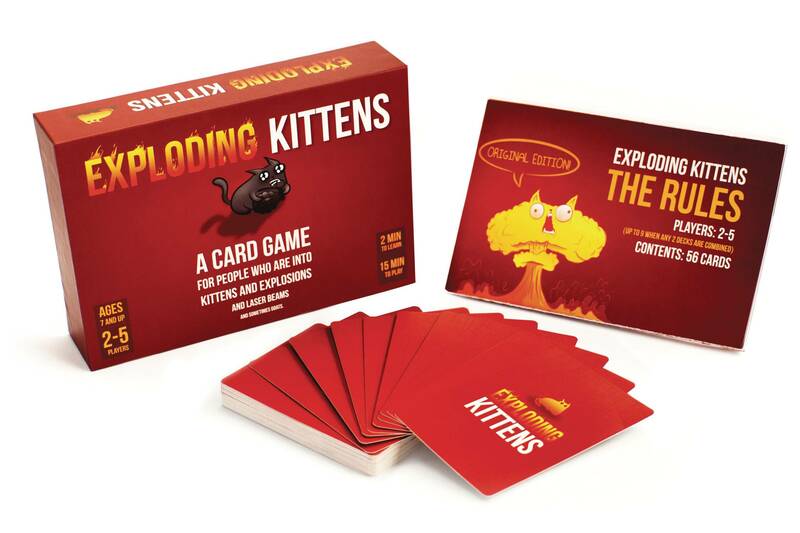 Exploding Kittens is a highly strategic kitty-powered version of Russian Roulette. Players try to avoid drawing 'Exploding Kittens' (which boot them from the game) using catnip sandwiches, deploying Spec Ops bunnies, and seeking out the wisdom of an all-seeing goat wizard! 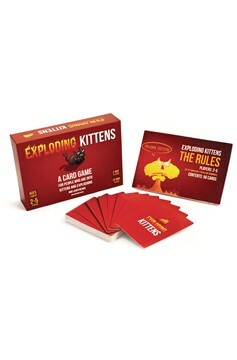 Kid-friendly, super fun, and easy to learn, Exploding Kittens is a fast-paced party game perfect for family game night or as an anytime boredom buster! Choose from the 'Original Edition' or the 'NSFW Edition' with wonderfully inappropriate card illustrations!.